StCezaireSurSiagne testOur villas in St Cezaire sur Siagne provide a fantastic base from which to explore the French Riviera. 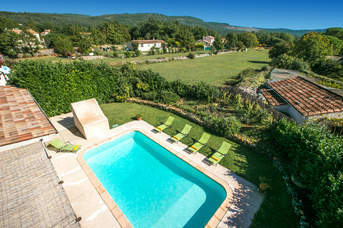 Spend your days relaxing by your private pool or exploring the narrow lanes of this historic village. For a breath of fresh air, head further into the Prealpes d’Azur Regional Natural Park, where you’ll find spectacular landscapes great for hiking or mountain biking. What’s more, the glorious beaches of Cannes are 19 miles away, and the bustling city of Nice is 34 miles from St Cezaire sur Siagne. There is a small market every Tuesday morning in the centre of St Cezaire sur Siagne, however the main market is on a Saturday morning. Here you can purchase a range of local produce, including cheeses, breads and fruit and vegetables. The town also has a supermarket, boulangerie, patisserie, pharmacy, and a couple of small boutique shops. For even more choice, head to the large town of Grasse. There are a couple of local restaurants serving traditional French cuisine in St Cezaire sur Siagne, as well as a wine bar and a takeaway pizza truck in the summer months. There is also a restaurant located at the Grottes de Saint Cezaire which is open for lunch daily in the peak summer months. Nearby Grasse town has a large choice of restaurants, or you can sample the fresh seafood in Antibes or Cannes. There are lots of fabulous beaches lining the French Riviera coast. Cannes is 19 miles away and offers 4 miles of golden sands lined with restaurants and bars. There’s some exclusive private bays, or the Plage Mace and Zamenhoff beaches where you can rent sunbeds and parasols. Alternatively, the long sandy beaches of Plage de Ponteil in Antibes and Plage Frejus are less than 30 miles away. The Grottes de Saint Cezaire, located underneath the village, are a 3 mile long network of caves almost 40 meters underground. You can discover part of the network, viewing the stalactites and stalagmites, many of which are a rose colour. Your guide may even do a sound show on musical stalactites. Above ground there is a tree top adventure area with rope bridges and swings, fun for older children and teenagers. If you’re feeling active, the Prealpes D’Azur Regional Nature Park offers not only spectacular landscapes, but a fabulous base for a range of activities including hiking, horseback riding, mountain biking and climbing. Further north, the Monts D’Azur Biological Reserve features an abundance of open spaces with rocky cliffs and slopes, meadows and woodlands. Home to more than 500 species, you might spot some deer, bison, black woodpeckers and even golden eagles. The Gorges du Loup, 17 miles away, is a narrow river canyon with stunning scenery. You can hike along the walkways admiring the views and even try canyoning. Or for a day of fun head to Le Village des Fous, an outdoor leisure park with a range of fun activities. The kids can explore the mazes, bounce on the trampolines or run around in the splash park to cool off. 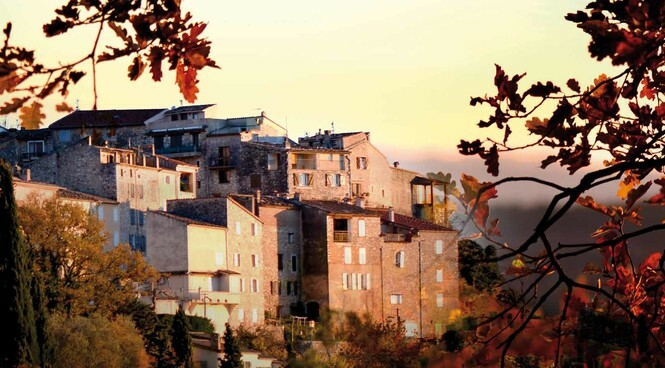 Nearby Grasse town is 10 miles away and well-known for its perfume industry. The Musée International de la Parfumerie makes for an interesting visit, and large perfumeries such as Fragonard, Molinard and Galimard offer free guided tours. The town itself is a charming maze of quaint streets, and the impressive Cathedral Notre-Dame-du-Puy includes paintings by Rubens and Fragonard. Cannes, famed for its international film festival, is a wonderful city to explore, with its own port, upmarket boutiques and glorious sandy beaches. Alternatively, Antibes Harbour is 25 miles away, and worth visiting not only to admire the glamourous super yachts, but also to wander around the markets. Further afield, the town of Saint Paul de Vence is often thought to be one of the most beautiful villages in the area, with a large collection of art and sculptures on display at the Maeght Foundation.